Specializing in selling, buying & importing used heavy equipment, farming tractors & spare parts in & out of Egypt. El Falwa Company established in 1996 in Cairo and the main activity is trading of medical equipment and import from many countries. The Company is working in the field of export and import heavy equipments. A leading entity in the field of compressed air technology used for all industrial and professional applications. Specialized in metal machining like turning, milling, raze and grinding. Professionals in selling, renting & servicing forklifts. Importer of cars, spare parts, heavy equipment and petroleum services. Manufacturer of electric tools. Importer of ducts, metal box and tires. L.V distribution panels, power factor Imp. and automation systems. Agent of Man Turbo AG in the field of turbines and compre, BMA in the field of sugar factories etc. 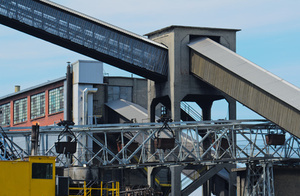 Since 1988, we have been a leader in supplying railway materials and machinery. Our main customers are railway contractors all over the world. Sole agent of pump manufacturing company. IECO represents international manufacturers of heavy engineering and construction equipment, welding and cutting machinery etc.